Our 2 Panel Half X Styled Barn Door adds the perfect vintage touch to your rustic space. With double panels and an attractive “X” overlay displayed prominently across the lower panel, this door will easily become the focal point of any room. It is most commonly seen in pantries, dining rooms, closets, master bedrooms and bathrooms. It is also used frequently as wall décor and can add visual interest to any blank wall. 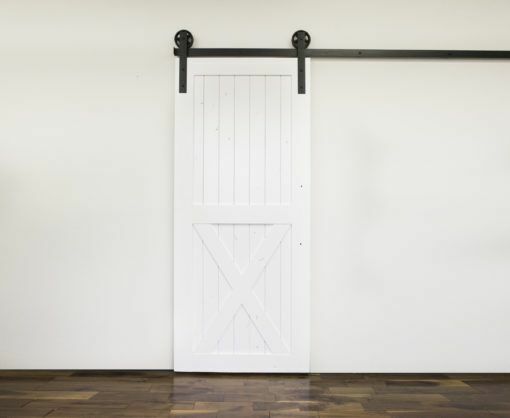 Our 2 Panel Half X Styled Barn Door is very versatile and can be manufactured to fit practically any decorating style from rustic to modern. Order yours today through our convenient online form!